As graphic novels continue to become more widely accepted by the general public, I encounter more and more people unsure about where to start reading. There's a lot of product out there, which can make it difficult to find the right entry point. 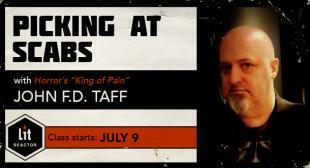 Additionally, many pick the wrong entry point and tend to run screaming from the medium. But when you read a bad book, you don't swear off books, you just swear off that author, or perhaps that genre. The same should be true for Graphic Novels. And so with that in mind, I offer you 10 graphic novels for the literary minded, broken down by genre to give you a fighting chance at picking something you might enjoy. I've avoided the usual suspects - Maus, Watchmen, and the like, which are both excellent of course, but have also been recommended a million times before - in favor of some more recent offerings that you may or may not have heard about. 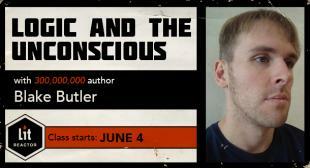 A tightly plotted detective story that follows P.I. 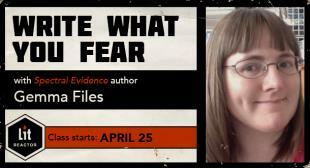 Dex Parios as she investigates the disappearance of a casino owner's granddaughter. 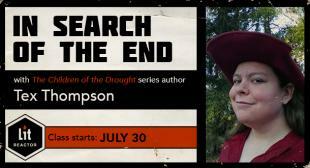 During her investigation Dex encounters two different sets of thugs, the 7th richest man in Oregon, his well-intentioned daughter, and his ill-intentioned son, among other things. The story begins with our hero being shot in the chest and then cleverly works its way backwards. 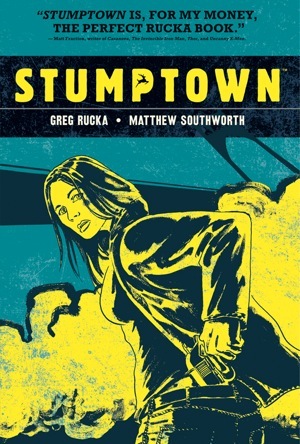 A nice character piece, Stumptown is filled with evocative, moody art that well-captures the tone of any good detective story and capitalizes on the Portland setting. Originally published as five single issues in 2009 and 2010, the hardcover edition is stunning, with matte paper and a larger size. If you like this, also try: 'Alias Vol. 1' by Brian Michael Bendis and Michael Gaydos, 'Batwoman: Elegy' by Greg Rucka and J.H. Williams III, 'Powers: Who Killed Retro Girl Vol. 1' by Brian Michael Bendis and Michael Avon Oeming, and 'Batman: The Black Mirror' by Scott Snyder, Francesco Francavilla, and Jock. 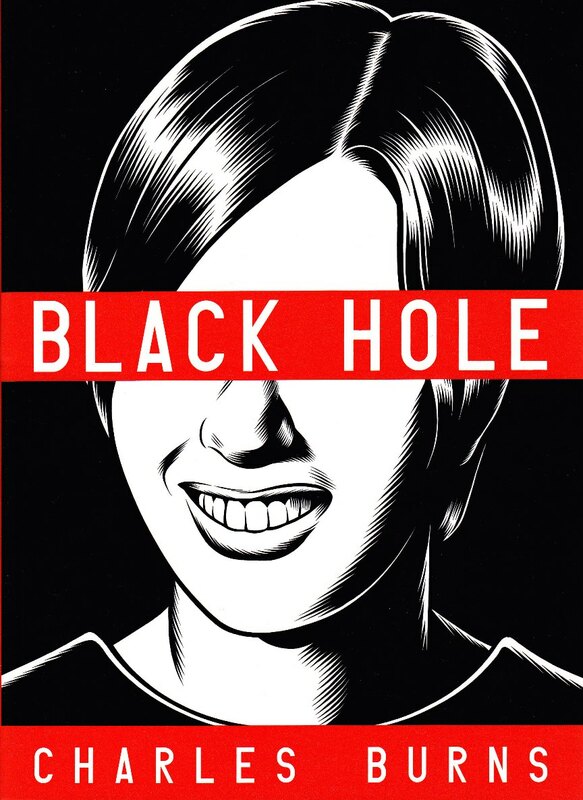 One of the greatest sci-fi graphic novels ever created, Charles Burns’ Black Hole effortlessly sets up a metaphor for sexual awakening and adolescence by making mutations a sexually transmitted disease. Burns’ teenage characters deal with the results of their sexual activity in a variety of ways that are shockingly honest and painfully real. Fundamentally about being different, finding yourself, love, and loss, Black Hole’s twelve single issues were collected in one volume in 2005. With impeccable writing that captures a timeless teen voice and stark black and white artwork that has the atmosphere of 70’s teen horror films, Black Hole stands out as one of the boldest graphic novels in print. An energetic and thoroughly engaging story about a teenage girl headed to high school after being home schooled her whole life. Though her three older brothers are already installed safely at high school, Maggie faces her own challenges, especially as their mother has recently vanished, with no sign of returning. With incredibly expressive art and vivid character design, Hicks’ story leaps off the page with its enthusiasm and sweetness, tinged (as all high school stories probably should be) with just enough darkness to keep things interesting. 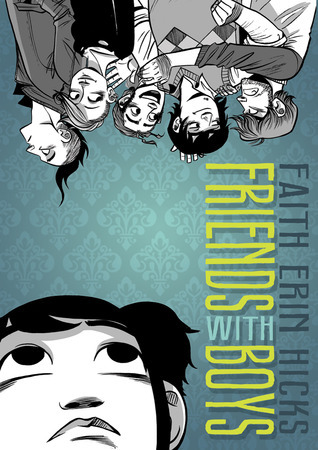 There's also a supernatural element to Friends With Boys, and the way it resolves is decidedly unexpected and strengthens the book’s metaphors even more powerfully. 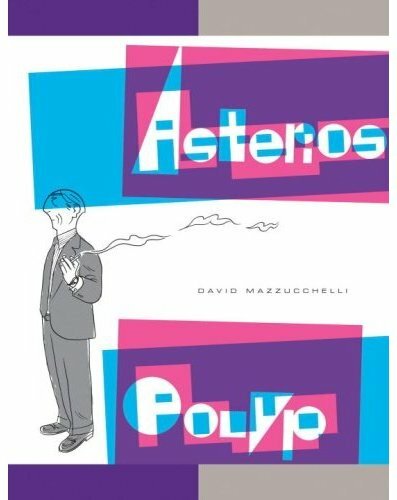 David Mazzucchelli’s Asterios Polyp is the not terribly unique tale of a man’s midlife crisis, told in a brilliant and effective way. Asterios, unhappy with his life, sets out on a journey to make himself a better person, and through introspection and deed comes to potent and emotional realizations. Told with subtle beauty that constantly pushes the boundaries of creativity and utilizes the comics medium to its fullest potential, Asterios Polyp is one of those books that sets the standard for what comics can be. If you like this, also try: 'Big Questions' by Anders Nilsen, 'Exit Wounds' by Rutu Modan, and 'Blankets' by Craig Thompson. 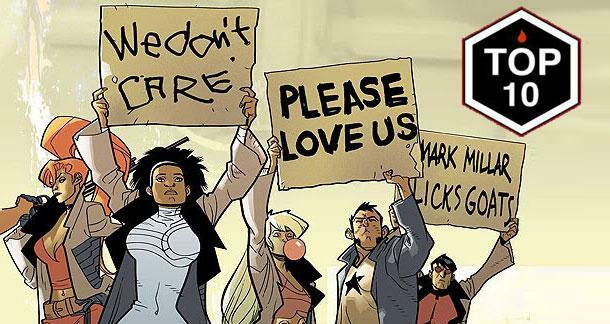 Nothing has more action and adventure and balls to the wall superhero fun than Nextwave: Agents of H.A.T.E. A “big two” comic book that feels unabashedly unlike a “big two” comic, Nextwave somehow manages to both celebrate and parody the superhero genre, and the result is a raucously funny adventure that includes everything from samurai robots and broccoli men to killer koala bears. 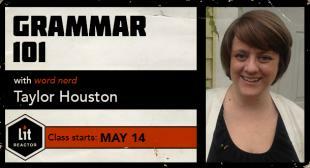 The characters have huge witty personalities and are insanely flawed, which makes them all the more interesting. Warren Ellis expertly plays them off one another and the visuals pop with unbridled enthusiasm, creativity seeping from every inch of every panel. 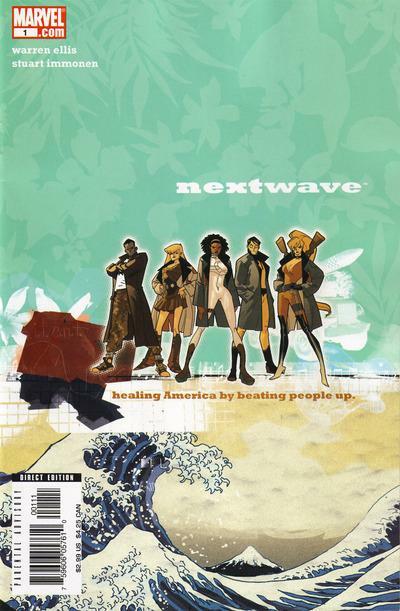 In a perfect world, far more superhero comics would be like Nextwave. If you like this, also try: 'Strange Tales Volume 2' (from Marvel, by various independent artists), 'Freakangels Vol. 1' by Warren Ellis and Paul Duffield, also, being collected in April, 'Legion of Monsters' by Dennis Hopeless and Juan Doe. A collection of connected but independent stories rendered in expressive black and white. 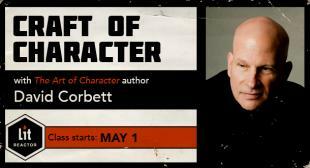 Each story focuses on a different character as they adjust to unique circumstances in their lives. All the stories connect thematically by suggesting "superpowers" of a sort, but in a realistic, real-world, and non-spandex way. 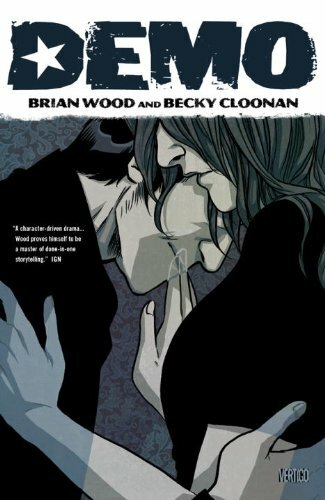 How each character embraces (or shuns) their circumstances, and how Brian Wood weaves the aberrations into his characters' lives is fascinating. Becky Cloonan's lovely, fluid work captures emotion and character so quickly you'll be astonished. If you like this, also try: Gabrielle Bell's 'Lucky', Jeffrey Brown's 'Unlikely', Adrian Tomine's 'Shortcomings', and Brian Wood and Ryan Kelly's 'Local'. 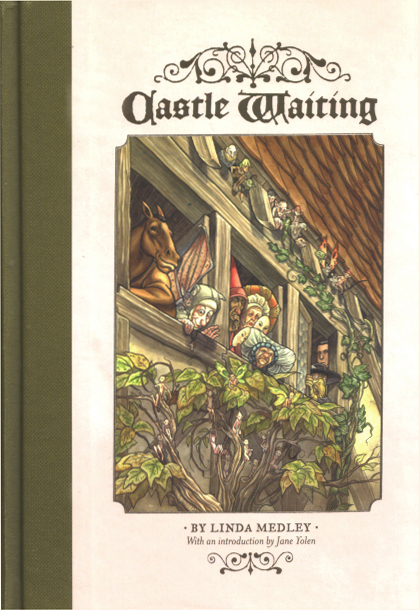 Castle Waiting, a brutally funny book with a giant heart, has a new spin on fairy tales with a feminist bent that will draw you in and keep you reading from page one. Focused on the Sleeping Beauty Castle, abandoned by its princess, Medley’s story highlights previously minor characters, as the castle becomes a home for misfits, thus creating an endless tapestry of intriguing stories spinning out from the castle residents. Medley’s world is expertly crafted and completely believable, while her black and white artwork is clean and highly detailed with an emphasis on character design and acting. If there's anything wrong with a group of talking, supernatural crime solving animals, rendered in stunning watercolor, then I don't want to be right. 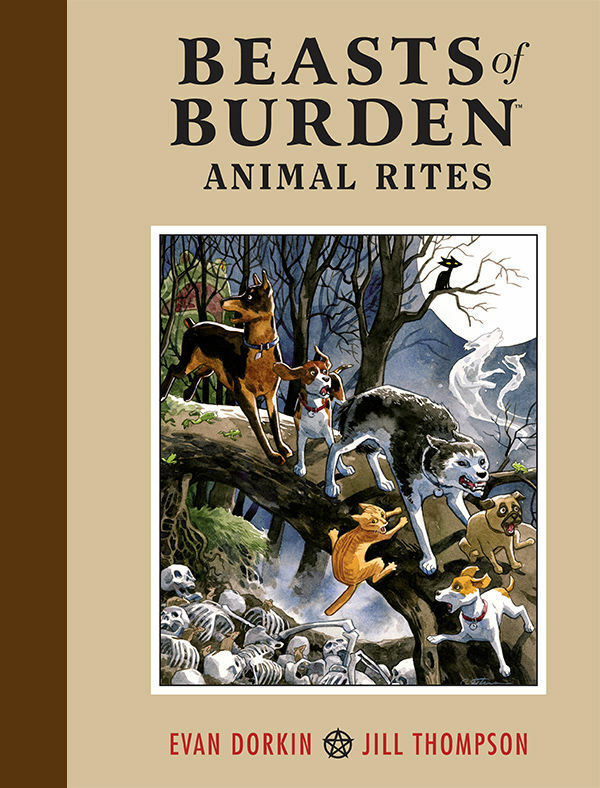 Beasts of Burden has no right to make any sense, but it just does. Evan Dorkin creates, in these talking dogs and cats, characters that you will instantly fall for amid smart mysteries that expertly unravel. Equal parts mystery, humor, and adorable, the only thing better than Dorkin's writing is the Jill Thompson watercolor artwork that accompanies it. This gorgeous hardcover edition collects a four-issue mini-series, as well as three previously published short stories. If you like this, also try: 'Greendale' by Joshua Dysart and Cliff Chiang, and if you enjoyed the animal angle more than the mystery angle, try out 'We3' by Grant Morrison and Frank Quitely. 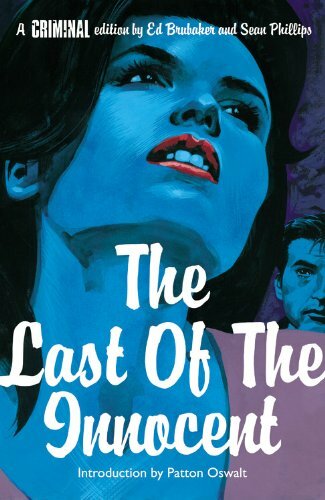 Smarter than your average noir, this story by Ed Brubaker about a man trapped in an unhappy life (and nostalgic for the life he might have had) is impossible to put down. Like any good noir, you can’t help rooting for your main character, even though he’s even worse than those he strikes out against. Clever visuals by Sean Phillips- which alternate between dark, noir-appropriate art and Archie comics inspired art to represent the main character’s nostalgic longing- come together in a brilliant way that fully realizes Brubaker and Phillips’ themes of nostalgia. If you like this, also try: the rest of the 'Criminal' series by Ed Brubaker and Sean Phillips as well as Darwyn Cooke’s adaptations of 'Richard Stark’s Parker' series, 'The Hunter' and 'The Outfit'. 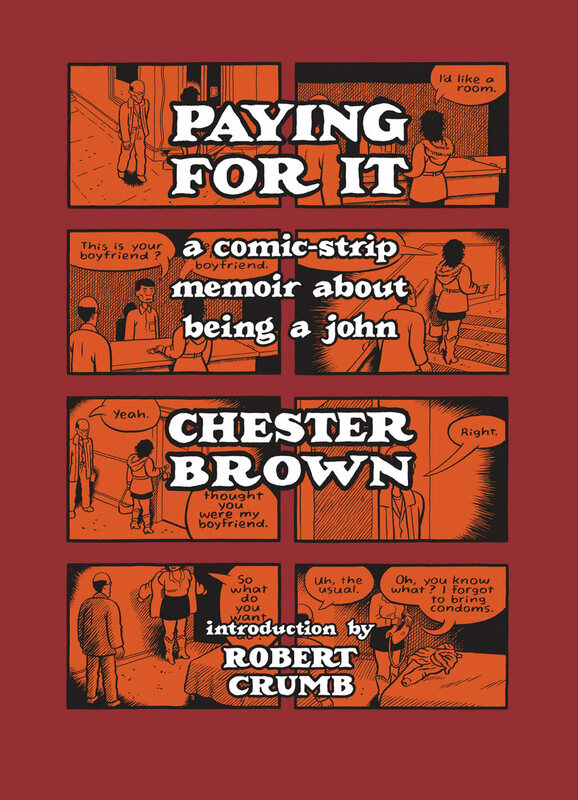 A memoir of Chester Brown’s own experiences soliciting prostitutes in his native Canada, Paying For It is somehow the opposite of titillating, despite the subject matter. Brown’s story insightfully examines both the sociopolitical aspects of prostitution as well as the very nature of long-term romantic love, and perhaps more to the point, if such a thing even exists. Illustrated in a stripped down style that fits the matter of fact approach, Brown’s book will make you think long after you put it down. If you like this, you might also try: 'Fun Home' by Alison Bechdel, 'How To Understand Israel In 60 Days or Less' by Sarah Glidden, and 'Persepolis' by Marjane Satrapi, which though all wildly different in subject matter from 'Paying For It' are all excellent comic memoirs/non-fiction. My mother read How To Understand Israel In 60 Days or Less by Sarah Glidden this past year for a project I was doing, and her first comment back to me was that she really liked it, but she didn’t understand how it was a comic. A long strange series of emails later, I realized it was because she just couldn’t comprehend of a comic as anything other than superheroes (and in fairness to her, when I was a teenager that’s pretty much all I brought into the house). It’s a funny thing, once you’re deep in comics, to step outside and realize how few people understand the difference between genre and medium, at least as it applies to comics. To many people all comics are irrelevant because they perceive them all as being about people running around in spandex fighting supervillains. But nothing could be further from the truth. Comics are a vibrant medium that can tell any story imaginable, and as illustrated above, do exactly that, with regularity. 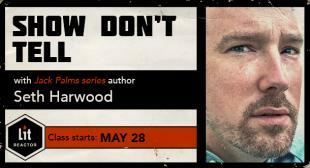 I'd recommend pretty much anything from First Second if you are interested in story. I'm currently reading through their whole back catalog. Big thumbs up to Friends With Boys mentioned above which was released a page a day online before its release tomorrow (I pick up my hard copy tomorrow, wOoT! ) and also Zita the Space Girl by Ben Hatke. 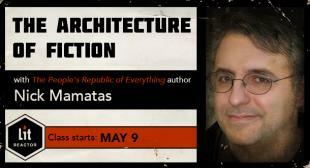 I'm not so worried about what genres or target age I read, I want good story, good characters, and good artwork. I'm rarely disappointed by First Second. Excellent. I've only read a couple of the highlighted above (Nextwave, Castle Waiting), but I plan to read many more, soon. For those interesed in either literary fiction or nonfiction I would recomend Persepolis 1 and 2 by Marjane Strapi. If you like the science fiction and don't mind superhero stories I would recomend The Umbrella Academy: Apocalypse Suite and The Umbrella Academy: Dallas by Gerard Way and Gabriel Ba. No love for Eddie Campbell's Alec books? Possibly the most literary-minded comics graphic novels I can think of. v for vendetta by alan moore? The Sandman series by Neil Gaiman is what started my interest in Graphic Novels. Lots of literary and historic references. I would call it a cross between Literary and Fantasy.